​The Avsource Group has been an industry leader in aviation certification, aviation project management and aviation technical services for nearly 25 years. What sets us apart? Our ability to provide each customer with a tailor fit project strategy. All Avsource associates are selected to assure the highest technical competency, effective communication skills, and are carefully matched to each specific customer requirement. Give us a call for a personalized quote to all your aviation needs. See below our current happenings and ongoing projects. 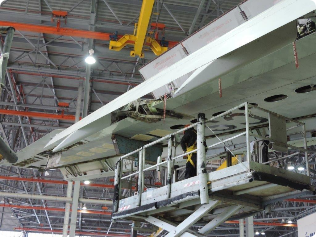 ​Gary, our chief DAR has been busy flying all over the globe, from Colorado to Tel Aviv performing aging aircraft inspections for several 767s. He is currently in Taipei, Taiwan performing yet another aging inspection of a 747. 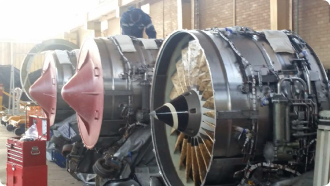 In Mexico City we completed 3 off wing market appraisals for several V-2500 engines. We have been diligently working on a new contract providing project management for a fleet of 17 airbus aircraft through the redelivery process. This project is expected to run into 2019. ​Our Brasil based operations hit the ground running, starting 2018 with a full list of redelivery projects. They have engineered a top-notch redelivery process covering all aspects of the process. Including records control and organization, engineering, interior and structural inspection and maintenance check overview. 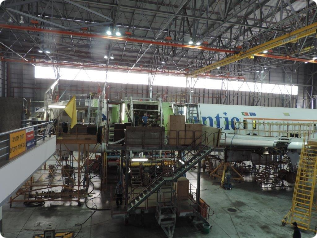 They are currently working on dozens of aircraft for the largest airline in Latin America. 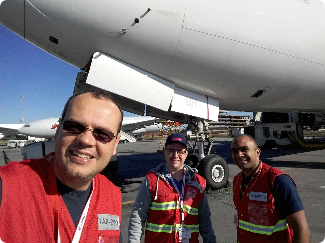 In addition to the redelivery platform, our team is assisting several Lessors with in service evaluations and monthly reports needed in Sao Paulo area. Some of our São Paulo based team members hard at work.